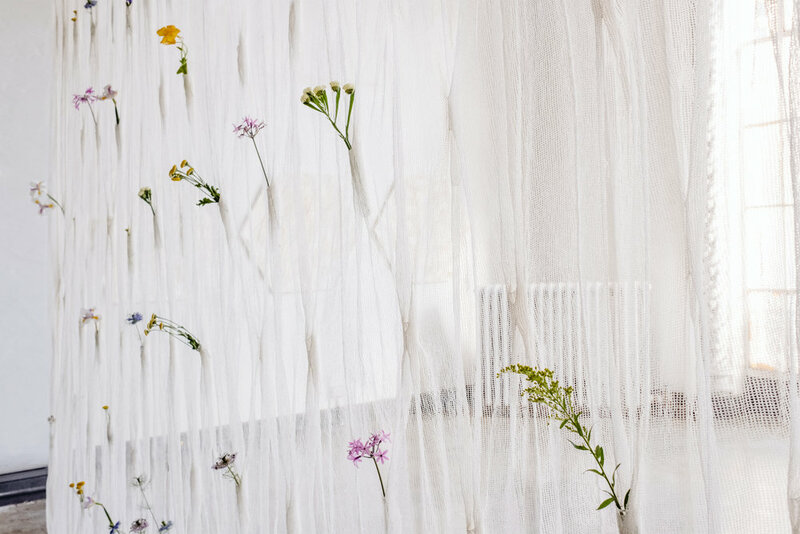 An ever-changing living vertical divider, the Draped Flowers Curtain contains over 100 pockets where fresh flowers can be placed, transforming the space it inhabits by offering a landscape of seasonality and personal contexts. 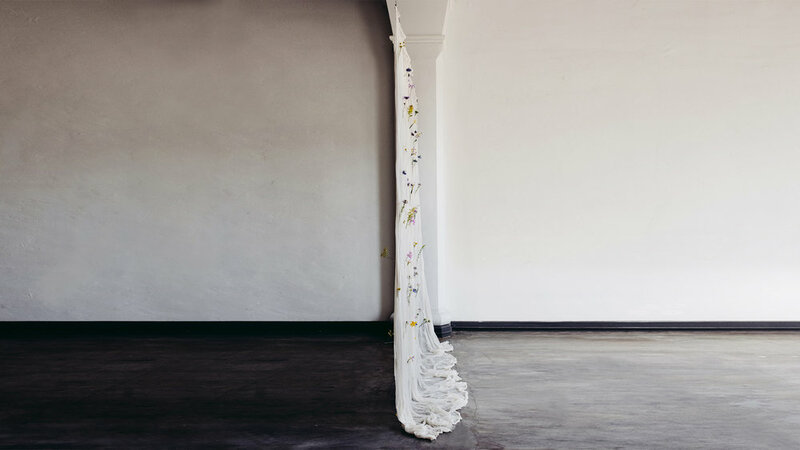 Stockholm based textile designer Akane Moriyama first created the Draped Flowers Curtain when she produced it in linen for an installation in Stockholm in 2010. 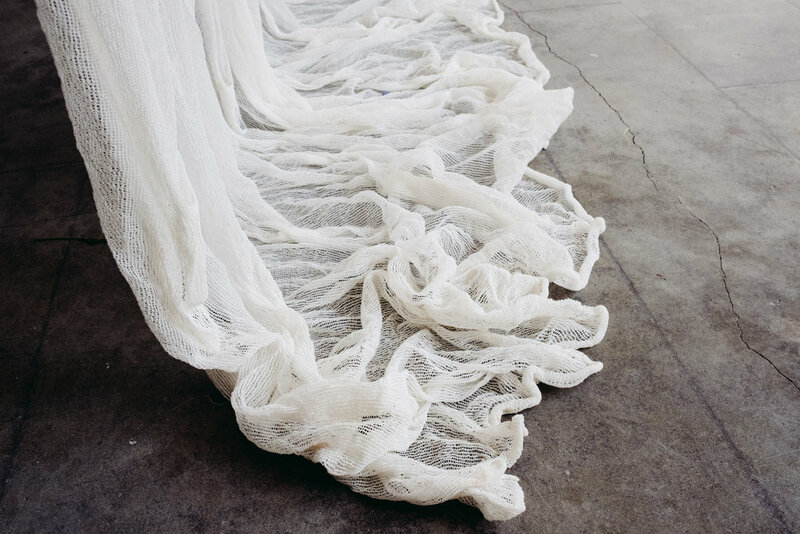 Seven years later, after working on design commissions and large-scale art installations, she revisits Draped Flowers with the introduction of a new and innovative material: thread made from paper. With her background in architecture, Moriyama’s work often bridges the concept of nature in space—in this case using a combination of fresh flowers and flexible textiles. The curtain is produced in a limited run of 30 pieces and every step takes place in a different small factory in Japan, each dedicated to its own unique craft and technique. It begins in Shikoku, where washi paper is made from the veins in the leaves of the Manila Jute plant. Individual leaves are laboriously inspected before being picked by master washi makers, who ensure the leaves are mature before pressing them into resilient washi. Next, in a facility in Fukui, the thin washi strips are spun into thread by a very careful process to ensure the utmost quality and strength. The resulting thread is extremely durable, yet flexible to the touch. Finally, a small workshop near Tokyo receives the thread and knits the textile into its final form, hand-sewing each pocket to conceal the glass vessels within the fabric’s draping. The finished pieces are entirely organic, durable, chemical free, and washable. As nature’s own room divider, the flora within the curtain is of the owner’s choosing, making them free to design a floral tableau whose appearance and scent are ever-changing and in sync with the seasons. The curtain blurs the line between still and living objects, while capturing the natural instincts for growth in the materials, the maker, and the viewer.